Being an active outdoor’s person and enjoying books might seem an odd mix to some. 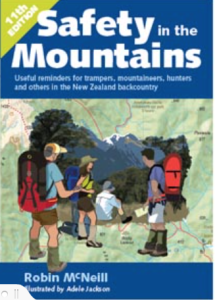 But for many people some of the pleasure of getting outdoors is in planning trips and learning more about the places they’re going to or have been, or reading about others outdoor adventures. 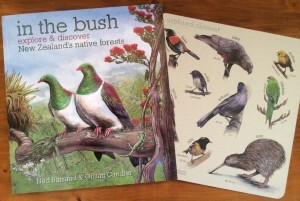 For kids and teens who love the outdoors, these books will encourage reading and for the young ones that love reading they’ll be encouraged outside! 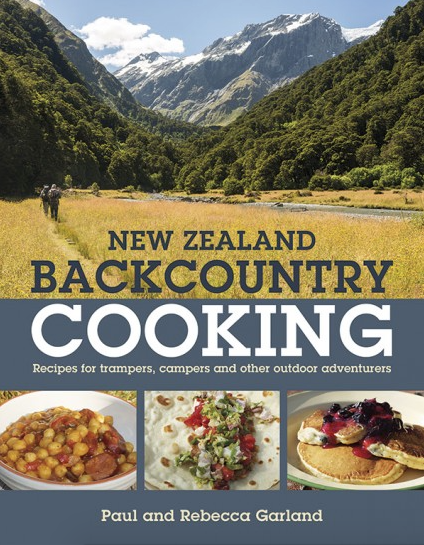 New Zealand Backcountry Cooking: recipes for trampers, campers and other outdoor adventurers by Paul and Rebecca Garland was a welcome new title this summer. 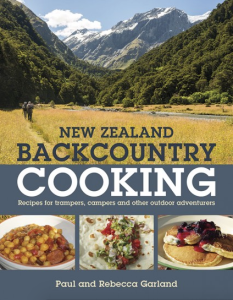 Full of ideas for quick meals and lightweight foods, this will be fun for families planning camping trips or picnics as well as trampers looking for a change from readymade de-hy packaged meals. I’m getting good ideas for my next tramp and the Date and Walnut Loaf has already been tried and met with approval. The only drawback is there is no index, just a list of recipes at the beginning of each section. A more commercial publication aimed at a younger audience than the one above, The Beginner’s Guide to Adventure Sport in New Zealand by Steve Gurney also covers safety along with lots of useful ‘how-to’ information from nutrition to training. 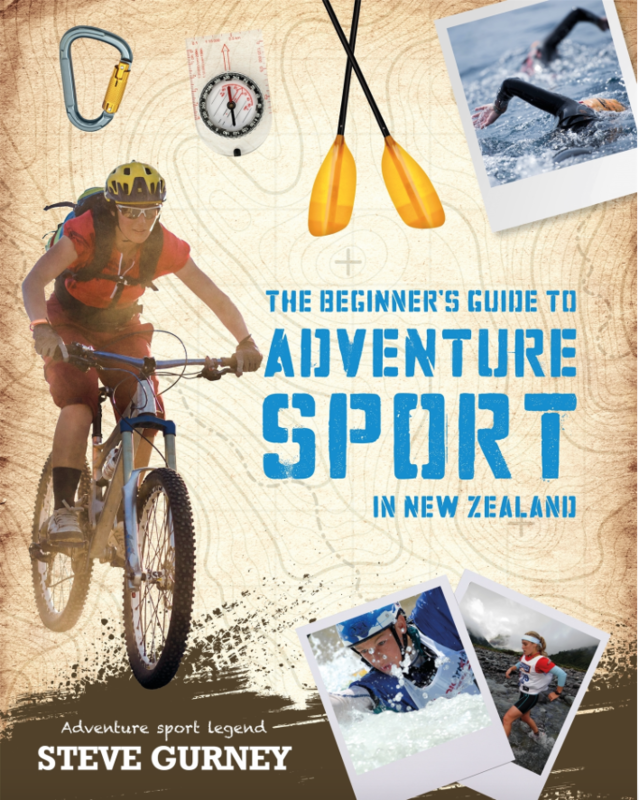 It is an excellent introduction to a wide range of adventure sport from kayaking to mountain biking. Those already out there doing these sports will be able to refine their skills, and other teens reading this should be inspired to give outdoor activities a go. Links to some ‘how-to’ videos on Steve Gurney’s website. 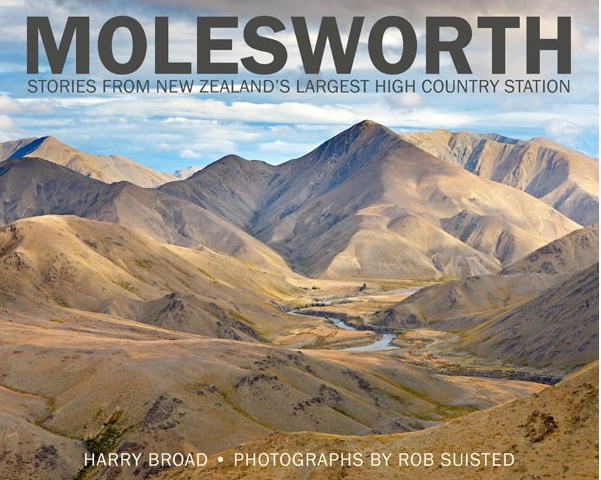 I recently picked up and re-read Molesworth: stories from New Zealand’s Largest High Country Station by Harry Broad with photos by Rob Suisted, published two years ago. 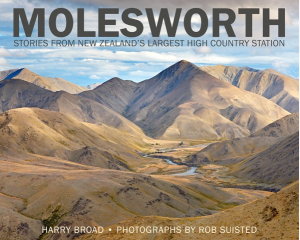 My interest was rekindled by recent trips driving through Molesworth and rafting the Clarence River. This book had influenced my decision to pay a visit, so it was interesting to pick it up again on my return. Much of the enjoyment in reading about ‘place’ comes from this interaction – either I’m reading about somewhere I haven’t been and I’m encouraged to go, or my reading is revisiting somewhere I’ve been, seeing the place again from different perspectives. Books like these deserve to stay available in bookshops for many years as people discover and rediscover the book and its setting. 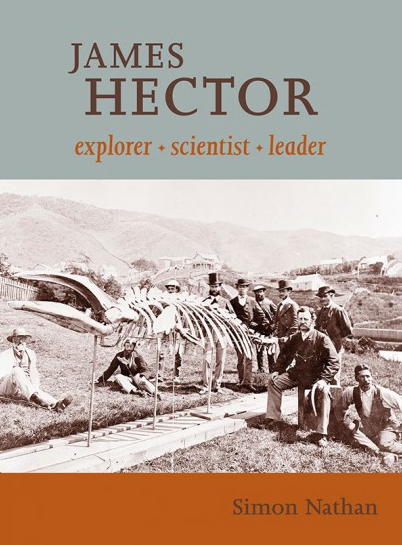 James Hector: explore, scientist, leader by Simon Nathan does an excellent job of setting the record straight about James Hector’s contribution to New Zealand exploration and science. A well illustrated and readable biography that doesn’t dwell on minutiae at the expense of the bigger picture. 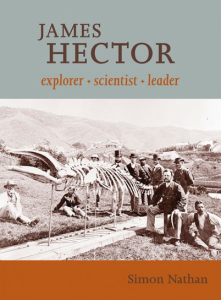 I marvelled at the kind of expeditions that Hector undertook, discovering mountain passes in Canada, as well as exploring New Zealand’s rugged terrain. Notes: These books were ones I chose to buy – not review copies. Apart from Safety in the Mountains which is available from FMC, you should be able to find these books in all good bookstores in New Zealand. Gifts for children this Christmas were easy, I couldn’t pass up the opportunity to give my own books. The youngest got a copy of my book Whose Beak is This? illustrated by Fraser Williamson and older children (and some adults who I knew would enjoy a copy) were given my latest ‘explore and discover’ book In the Bush: explore and discover New Zealand’s native forests illustrated by Ned Barraud.